An owl hiding in a tree trunk. 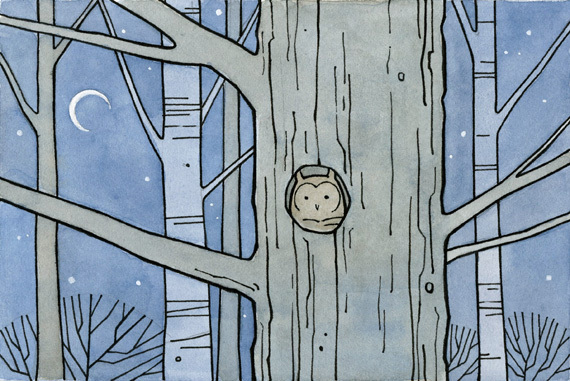 4×6″ illustration. I like the different bark textures in this one. I love your work, I will be following !